What makes Amazing Moves different? At Amazing Moves there is no middle man. You deal directly with co-owners Padraic McHale and Marshall Aikman, and other members of our team. There are no agents or brokers that take a markup and get in the way of the relationship with a customer. 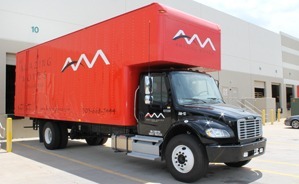 Amazing Moves was founded in Denver, Colorado in January 2003 by some young entrepreneurs with experience in the moving and storage industry. Amazing Moves Moving & Storage has grown steadily as a local moving company since that time because the leadership team has not strayed from the core of their business plan: hiring professional, motivated, and athletic employees; holding them to high standards for performance and dependability; while always putting the customer first. Our prices are competitive and our value is unsurpassed. "Three College Kids and a Truck" may move you cheaper but they will not move you better. On the other hand, the national moving companies certainly have some skilled people and great equipment but their service can be impersonal and inflexible. Research us and other local moving and storage companies. We encourage you to do your research. Check with the Better Business Bureau and other online review sites. Then take a look at the senior staff bios and customer testimonials here on our website. We believe that you will then begin to understand what makes us different as a local moving company and why you should contact us the next time you need full-service local moving and storage services. We believe in efficient use of customer’s time. We want to change the perspective of people towards the moving industry. We want to create a work environment where constructive communication flows freely. We want to create Customers for Life. In general, Marshall oversees the sales and finance side of the company. He has a Bachelor of Arts degree from Hobart College in Geneva, New York. He and his wife Megan have two children. Padraic's focus is on Amazing Moves' operations and administration. He earned a Bachelor of Science degree from the Dublin Institute of Technology. Padraic and his wife Diana have two children. Lucas is one of the original employees at Amazing Moves, joining the company as a mover in 2003 and then moving up to driver, then crew chief, and now to sales manager.